Unlike the southern tip, the northern end of North Captiva, FL, not accessible by land vehicles, actually has utility electric power available. 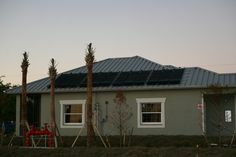 Just like any mainland homeowner, this one wanted to offset increasing utility bills with solar energy. Working on an island is obviously a challenge, but our amazing crew pulled off this 4.6kW SunPower solar photovoltaic system in two days. 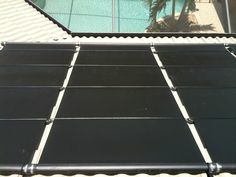 This system is comprised of fourteen SunPower 327W modules, among the most efficient modules commercially available. Paired with a SunPower branded SMA SB-5000US inverter, this system is expected to cover the majority of this homeowner’s electrical consumption. The system was installed to meet the Florida Building Code’s 170 mph design wind speed requirement, and being in close proximity to the water, required additional safety factors to secure the system against wind uplift. 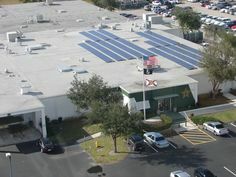 The system performance can be tracked remotely using SunPower’s online monitoring system and via mobile devices. Next Post: Solar a Sure Bet?